Come along to the Jozi Coffee Walking Tour to explore the Joburg CBD and all it has to offer in terms of that precious energising bean. GoatCoffee, 6 Simmonds Street, Marshall Town, Johannesburg. Come down to Marshall Town for a day out in the Joburg CBD exploring all it has to offer coffee addicts and walking enthusiasts. 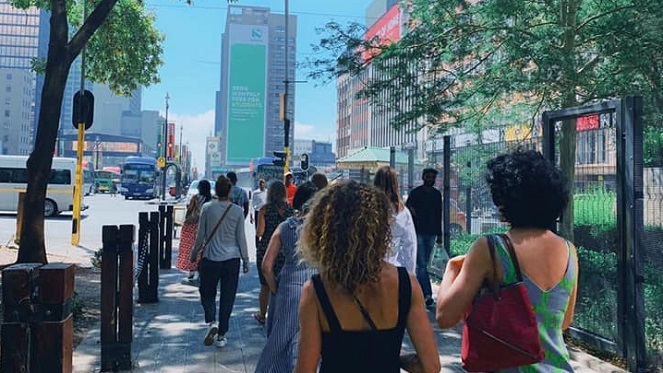 MicroAdventure Tours are once again hosting their Jozi Coffee Walking Tour through the CBD for those of us who aren’t adept at cycling through inner city traffic. They have partnered with GOAT Coffee company to bring you a coffee themed tour. How great is that? The tour is approximately 5km in distance, so be sure to put on your walking shoes and comfy clothes. Saturday, 13 April 2019 at 09:00 – 13:00. Fee is R180 per person.